Money: people say it can't bring you happiness, but if you've ever found yourself short of it, you'll know that it can bring enormous stress, anxiety and worry. But it doesn't have to be that way, does it? All it takes is knowing what to do when times are tough. Maxing out your overdraft will feel like you've hit a dead end. So, if you need cash quickly but don't want to pay hidden fees, find out who the best loan providers are. Do some research and decide which loan provider is the right choice for you, basing your decision on factors such as the amount you want to borrow, your preferred repayment period, and your credit score. 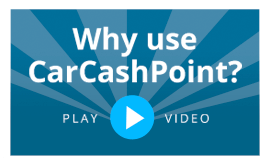 You might find that the best loan providers aren't the banks or your friends and family, but are actually logbook loan companies like us at Car Cash Point. Once you've got your loan, you can top up your current account and start managing your money. Another great tip is to always leave a little more room in your budget than you think you need. Don't make things to tight for yourself, as budgeting 'to the wire' could be unrealistic, and potentially put you in a stressful situation if a surprise expense pops out of nowhere. So, if you have any spare money each month, set it aside for 'unexpected situations'. You can draw on this pot of money if the fridge needs replacing, the car breaks down or your pets needs a trip to the vet, for example. One of the hardest things when it comes to managing money is recognising (and distinguishing between) 'wants' and 'needs'. So, if you think you might be overspending, take a step back and see if what you're spending your money on are definitely essentials. Planned spends are fine, but if you're at a shop and find yourself queuing for something you didn't intend to buy, put it off for another day: the delay on spending might make you rethink an impulse purchase. Spending money without a plan is rarely a good idea, so budgeting month to month is a good tip for managing your finances. However, go a step further and budget for a few months at a time, or even a year. Budgeting for the long term will help you to afford the kind of things that happen all the time yet seem to catch us off guard - for example, the cost of Christmas, school trips and annual car services. Finally, living on a restrictive budget can start to get you down after a while, so try to find a little bit of money for the things that make you happy. It could be something as small as finding some extra funds for fuel so that you can drive out to the countryside for a relaxing dog walk. Or, it might be a slightly bigger spend, like a family trip to the cinema every month. This might mean upping your income by taking on extra hours at work, finding a second job to supplement your pay packet, or cutting back on other things that you can comfortably live without. Follow these tips as best as you can and see if it makes a difference to the way you manage your money.